I felt like jelly. I didn't know if I was dreaming or just delusional, but I could have sworn that his smile carried a wisp of intended affection. He was Olamide, my longest lasting crush. I met him at our fresher's party where our eyes met and locked for several breathless seconds, and though we were several metres apart, I felt this connection between us. Despite being a bag of smiles, I could not help but notice his peculiar features; fair skin, jet black hair and ruthlessly dark eyes which made him more attractive, and also that he moved with effortless finesse as one who was accustomed to silk and servants. Over 4,000 candidates, who scored up to 200 in the 2016 JAMB UTME, have applied to study in OAU’s College of Health Sciences this year. This comes at a time when the college only has the capacity to admit just 255 students. As usual, the Department of Medicine and Surgery has the highest number of eligible aspirants this time. 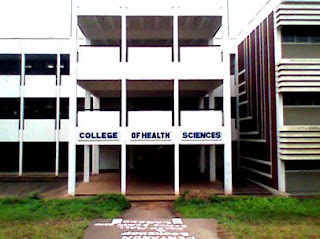 Following the registration of candidates for the institution’s admission screening exercise, 2296 UTME applicants who wants to study Medicine have 50% and above. Other 99 pre-degree medicine applicants scored up to 60% or more after their programme. For Dentistry: 88 UTME applicants scored 50% and above, and 19 pre-degree applicants have 60% and above. 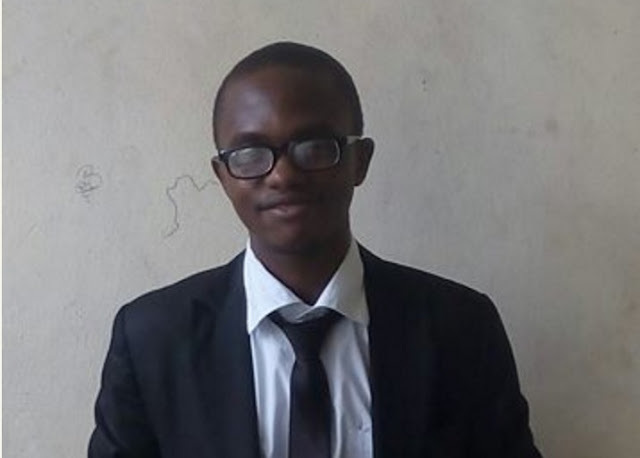 During the last convocation in Obafemi Awolowo University, Ewetola Michael was announced as the overall best graduating student. Michael, alongside four other best graduating students in their institutions have been recognised and awarded for their academic brilliance. The Annual Reward Nigeria Award, hosted by Culbeat New concepts limited at the Saturn Hall 4 Point Sheraton Hotel, Lagos, was held in honour of five students who distinguished themselves as the best graduating students in their respective institutions across Nigeria. The awardees were; Umar Ningi, Ahmadu Bello University (ABU), Thompson Mba, University of Nigeria, Nsuka, Dasola, (UNN), Ademola, University of Ibadan, (UI), Ewetola Micheal Adeboye, Obafemi Awolowo University (OAU) and Ayodele Dada from University of Lagos, (UNILAG). Following the unprecedented announcement on the University's eportal that the screening exercise of the Obafemi Awolowo University, Ile-ife would close on Friday 9th September 2016, aspirants who were, as at then, yet to complete the process were thrown in a panicky state. An emotion further aggravated by the inaccessibility of the eportal since Friday, 8th September, a day to the said deadline. However, there might still be another chance just yet as the University has once again extended the closure date of the screening exercise till further notice. As at the time of compiling this report, the screening application platform on the portal is accessible. It is however advisable that aspirants endeavour to complete their Screening process in due course as the process may be closed anytime from now. Dr Ben Ugheoke, the Chairman, Academic Staff Union of Universities (ASUU) University of Abuja’s chapter, says the union has not issued strike notice to the Federal Government. In a statement issued in Abuja on Tuesday, he said that he did not grant any interview or issue a statement on pending strike as it was reported. “My attention has been drawn to a publication online and on social media captioned UniAbuja ASUU to begin strike on Oct. 2. The public and ASUU National Executive Council should know and note that no one came, either as journalist or any press team, to interview me." “I hereby denounce such a publication as the work of mischief makers, targeted at misleading the unsuspecting public about the trajectory of the struggles of ASUU. “ASUU is committed to revitalising the University of Abuja and indeed, the education system of Nigeria,’’ he said in the statement. He urged the public and stakeholders to disregard the report as it did not originate from him. The Association of Campus Journalists (ACJ) OAU, the 45 year old conglomeration of Press bodies on OAU campus, inducted its newest members on Friday 9th and Saturday 10th September, 2016. The programme commenced on Friday, 9th September, 2016 with a workshop and film show organised for the inductees. The induction proper was held on Saturday, 10th September. The programme commenced with a welcome address by the Chairman of the Guild of Editors, Adeyeye Ifeoluwa, who was the MC for the event. The General Secretary of the Association, Miss Adebayo Faith, then orientated the inductees on the structure of the association and the librarian, Mr Olasunkanmi Okeowo enlightened the inductees about the internship, workshops and their libraries. The President of the association, Mr Olanrewaju Oyedeji, also addressed the inductees; advising them to be creative and diligent. The Editors-in-chief present also gave the inductees some basic tips concerning journalism on the OAU campus. We hereby use this medium to felicitate with our Muslim friends and readers on this year's commemoration of Eid al-Adha. We pray that Allah in His Infinite Mercies grant you the ability to obey Him like Ibrahim (ASW). EID MUBARAK from all of us at OAU Peeps. Fellow Compatriots, as you celebrate the Eid-El-Kabir, I salute your steadfastness in spite of the difficult economic times the country is going through. The lessons of the Eid are piety and sacrifice and, my dear brothers and sisters, you have exhibited these in equal measure. The present recession is as a result of cumulative effects of worldwide economic downturn and failure in the past to plan and save for difficult times. It is impossible to separate the present from the past to appreciate the extent to which mistakes of the past are affecting everyday life today. Just moments ago, ghastly accidents occurred in front of the Adekunle Fajuyi Hall of Residence at the Obafemi Awolowo University. At exactly 9:30 pm, a car coming from the New Buka area of the University ran out of the main road into Fajuyi hall main entrance. Investigation showed that the driver of the car was under the influence of alcohol. Just as students began to gather in twos and threes, another Honda car, also suspected to be coming from New Buka, was going above the speed limit. Upon getting to the Fajuyi Hall Bus Stop, the driver swerved into a motorcyclist and passenger moving in the opposite direction. The motorcyclist and his passenger (a student) sustained different degree of injuries which was termed severe by eyewitnesses and have since been rushed to the hospital. While the driver of the vehicle and his supposed spouse are being held hostage in the Fajuyi hall secretariat till the victims recover fully.